I'm excited to reveal my cover for Molly, Book #3 in the Perfect Match Series. This new romance series is written by six USA Today Bestselling Authors and each story promises to be a lot of fun! Molly McShea, a relationship columnist for a national women’s magazine, is assigned to write an article about Perfect Match, a new matchmaking travel agency. When her date doesn’t show, she’s determined not to lose the promotion she’s been working toward or the chance to redeem her reputation after an ugly, public break-up. Sean Logan started a new life as a surf instructor so that he could escape his painful past. He’d let himself get pressured into signing up for a dating site, but he finds out his date is planning to post his photo all over social media and write about their week together in a popular magazine. He knows he can’t let Molly get in the way of his privacy or his brother’s quiet life on the island. But he must ultimately decide if falling in love with his perfect match could be worth all the risks. You can view all the Perfect Match covers and read the blurbs on my Facebook page. All six books in the Perfect Match Series are coming May 1st through June 5th 2018, and they'll be available for pre-order in April. Grab your beach umbrella and prepare for six weeks of romance and fun in the sun with a brand-new series brought to you by USA Today bestselling authors… Perfect Match! A follow-on series to last summer's hit, Beach Brides!. Six exciting, sweet novellas linked by a unifying theme. You’ll want to read each one! Six women receive invitations from Dawson Yates, owner of Perfect Match, a brand-new online matchmaking travel agency for a free week-long vacation to the island of her choice. As part of an extensive promotional campaign, Dawson expects to make six perfect matches that he can use to champion his business. The women expect to meet the men of their dreams. What none of them anticipates is the chaos that ensues when six couples who were strangers before agreeing to spend the week together discover that love is a lot more complicated than a match made by computer algorithms. 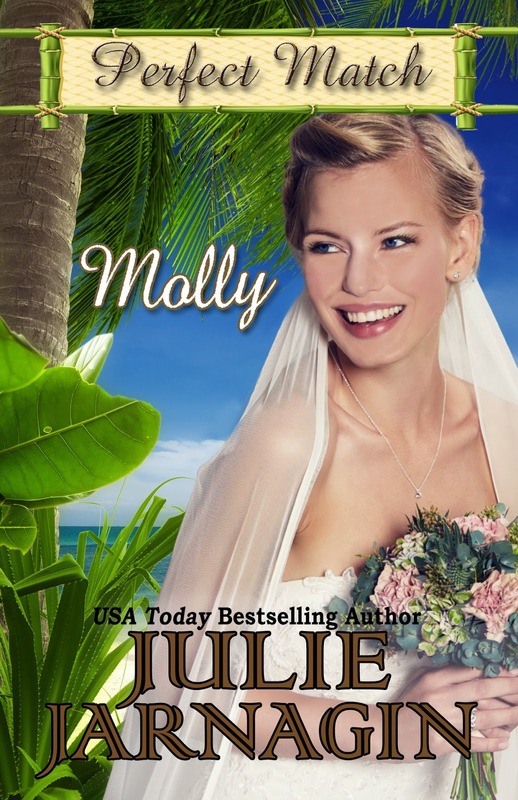 Join Bree, Marni, Molly, Jade, Ava, and Maeve as they embark on a once-in-a-lifetime vacation in the pursuit of love. Find all the Perfect Match novellas at Amazon!